Properties in Kailua Kona average 4.7 out of 5 stars. Property 2: KJ’s Place, in the heart of the city. Awesome location, beautiful 2 bedroom, 3 BATH! Downtown Kona. Family friendly! Property 10: Awesome location, beautiful 2 bedroom, 3 BATH! Downtown Kona. Family friendly! Your Hawaiian Vacation Starts Here! II ~Renovated Condo! Property 13: Your Hawaiian Vacation Starts Here! II ~Renovated Condo! Property 14: Kona Makai 3-203 2nd Flr, Ocean View, Remodeled Bathroom w/ Walk in Shower! Property 15: Panoramic Views! 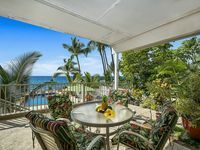 Oceanfront 1BR/1BA in Kona Reef. Fast WiFi and Central AC! Property 23: Just Steps to White Sands Beach, Affordable Tranquility! Property 24: KKSR2204 DIRECT OCEANFRONT CORNER UNIT!!! 2nd Floor, Wifi, BREATHTAKING VIEW! Property 26: Fabulous view! Newly Renovated: Almost Oceanfront without the Oceanfront price! KONA ALII 609 - IN TOWN WITH LOVELY VIEW! 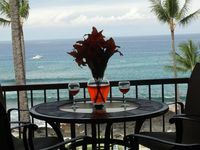 Property 33: KONA ALII 609 - IN TOWN WITH LOVELY VIEW! The best of Alii Drive within walking distance to the beach! Property 38: The best of Alii Drive within walking distance to the beach! SV4205 2 bedroom, DIRECT OCEANFRONT, Wifi, BREATHTAKING VIEW. Property 39: SV4205 2 bedroom, DIRECT OCEANFRONT, Wifi, BREATHTAKING VIEW. Ko'u hale o kou hale Fun in the Sun and a view that says WOW! Property 41: Ko'u hale o kou hale Fun in the Sun and a view that says WOW! Amazing ocean view plus WAVES!!! Property 42: Amazing ocean view plus WAVES!!! Your Hawaiian vacation starts here! Property 45: Your Hawaiian vacation starts here! A Must See! Beautifully renovated with direct ocean view. 1 Bedroom, 1 Bath. Property 47: A Must See! Beautifully renovated with direct ocean view. 1 Bedroom, 1 Bath. Property 48: Casa De Emdeko 317- 2/2 Incredible Oceanview, Top Floor, AC, Elevators! Property 49: Cozy Condo with Unbeatable Views! updated kitchen and bathroom. Very close to everything you need but quiet. pool was very nice and views amazing! !